Don't share your banking ,debit card password. Never accept a smart phone locked with password. 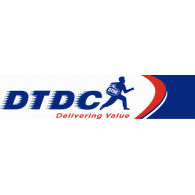 DTDC is known for prompt services at lowest quote. This helps customers to have forever relation with this firm. The secret of growth of this firm is honesty, no false promises. Time schedule of the delivery is appreciated at this service provider. The owner has up to date knowledge about changing technology in the market and new models introduced. Due to prompt services client’s satisfaction rate is at higher level, so client says this service provider is one of the Top 10 services of the area. Please call DTDC service agency in working hours before visiting any other service provider.